Very few saw the Royal Commission steam train coming. Australia is indebted to Commissioner Kenneth Hayne and his team for bringing into the open how and why Australia’s banks have lost their way. We can only speculate what would have happened without this inquiry. This is an extensive topic which cannot be covered in one newsletter so I will break this down into a four part series, the first of which addresses the question of how much responsibility NAB’s Chairman Dr Ken Henry and his CEO Andrew Thorburn should bear for their bank’s plight. The third will look at how the other big banks have fared. And the final newsletter outlines what recommendations we can expect from the RC and what issues banks are and need to be considering in the meantime. The focus of the first two newsletters is NAB. This is not motivated by any desire denigrate NAB, in fact it is exactly the opposite. I have abiding gratitude and respect for an institution which gave me the best years of my working life. Spending twenty five years there has given me insights that I don’t have with other banks which is why I feel equipped to make more detailed comments. I suspect though the themes in other banks are similar. I should disclose that I have not worked for NAB for ten years and this has been a period of significant change. These insights are offered as a contribution to the debate, initiated by the RC, which needs to continue in order for all our banks to begin to rebuild lost trust. PART I – HOW MUCH RESPONSIBILITY SHOULD NAB’S CHAIRMAN & CEO BEAR FOR NAB’S PLIGHT? From the middle 1990’s to the middle 2000’s NAB was widely regarded as Australia’s best bank but in more recent times it has slipped. 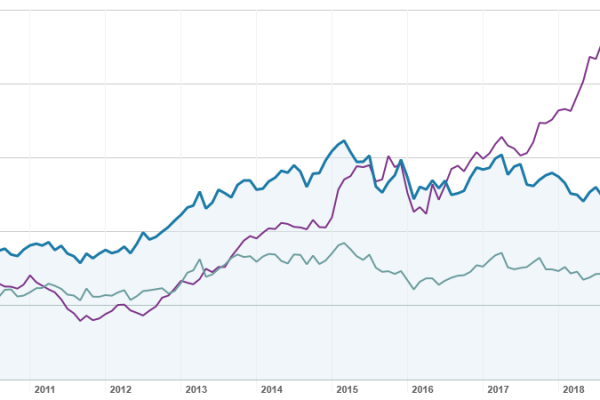 It’s share price has been the worst of the four banks over the past 10 years whilst several scandals have brought to the fore the nebulous issue of culture. Dr Henry suggested this week that it could take up to ten years to fix NAB’s culture. This is a damning self-assessment from someone who has been a director for seven years and chairman for the last three. It also doesn’t reflect well on CEO Andrew Thorburn who has now been in this role for in excess of four years. So what level of responsibility do NAB’s key leaders bear for its current plight? Comments made by the pair this week at the RC offer an insight into this. It could not have been easy for any witness to be grilled for hours on end in such an intense environment with so much public scrutiny so its understandable there were moments of frustration. Nevertheless, I was genuinely taken aback by some of their comments. Dr Henry is a former senior public servant, he is not from the “top end of town” and was regarded as the “new broom” which NAB needed. During his somewhat churlish and combative responses to probing from counsel assisting, he made a number of rather surprising and disconcerting observations. The natural response to Dr Henry’s questioning of the board’s role re risk culture is that if boards are not responsible for ensuring they have a view the risk culture of a bank then who is? It is the board that sets the tone for ethical and responsible decision-making throughout the organisation and central to this, especially for a bank, must surely be risk culture. Banks should not wait for or need regulators and governments to take “a stronger stance on bank culture.” Isn’t this the job of the board? Chairmen and directors of bank boards are all well paid for part time positions – around $800k and $400k pa respectively. As highly credentialed professionals they must know what their role as a director of a bank is and how to do it. And if they feel they’re no longer up to it, have too many other directorships or it’s just not worth the risk, then perhaps it would be a good time to step down. It’s hard to say what motivated Dr Henry to say the cultural fix at NAB could take up to ten years but this does not reflect well on his board who allowed the bank to bumble along until the RC brought these issues to the public’s attention. Either the board was ignorant of the extent of the problems or it was negligent in failing to hold management to account for fixing them. My sense though is that it’s probably both. Mr Thorburn started the week well, he said all the right things about the primacy of the customer, what it was like when he started out at NAB but how, like a fishing boat, the bank drifted off course. But when the hard questions were asked, he faltered. Given that NAB has developed a reputation as combative and stalling in dealing with customer disputes it was somewhat ironic therefore to then hear him talk about the new Customer Remediation Centre of Excellence which sounds a bit like the “Crown Casino Centre for Problem Gambling”. I have not met Mr Thorburn although insiders say he is a very decent man. The proper course of action, as we would all tell our kids, is when you make a mistake, which we all do from time to time, we promptly fess up, fix the problem and compensate those who have been wronged. Why should it be any more complicated than that? The phrase “thrown under the bus” has had a good workout at the RC. Witnesses have generally tried not to incriminate their colleagues but under intense questioning Mr Thorburn singled out Mr Hagger. It’s right that Mr Hagger was held accountable but who is holding Mr Thorburn to account? This is not easy, but the CEO is ultimately responsible for ensuring the right people are in the right jobs and that they are well trained, supported and lead. Staff morale, particularly in middle management, remains a significant problem. Overall, the final week’s appearances at the RC by Dr Henry or Mr Thorburn did little to enhance their reputations or prospects for job longevity. They are unlikely to be looking forward to the AGM which will be held in Melbourne on December 19th. So the “chickens at NAB have come home to roost.” Its problems did not just arise after Dr Henry and Mr Thorburn were appointed but as the leaders of the board and management they are ultimately responsible and should be held accountable for failing to properly identify and address them in a timely manner. It is for the shareholders to form their own views as to how much responsibility Dr Henry and Mr Thorburn should carry and whether they are the best people to take NAB forward. Personally, I believe it is time for a fresh approach. The truth is that NAB’s cultural decline has been in the making for twenty years. This will be addressed in Part II, “How and why did NAB go off the rails.” to be published shortly. « Will the new Banking Code of Practice make any difference to SMEs?